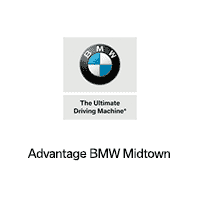 Advantage BMW Midtown invites you to visit our fantastic luxury car dealership in Houston, TX. Our knowledgeable team members are ready to provide you with the best BMW sales, service, parts, and accessories in the Houston area. If you’re looking for only the best deals on new & used BMW luxury cars and SUVs in the Houston area, then stop by today to test drive one of our latest models. We offer a great selection of new and used 5-Series, 3-Series, X5s, and many other popular models. Call (855) 778-5566 today for BMW pricing, availability, service, parts, accessories and more!